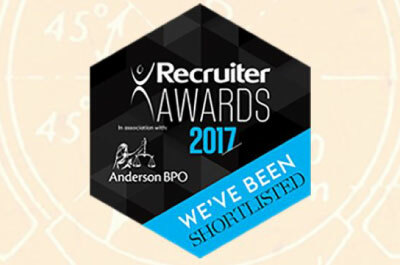 Recently that we have been shortlisted for 2 categories in the 2017 Recruiter Awards. The categories we have been shortlisted for are best construction and engineering recruitment agency and best client service. This in itself is a significant achievement given how competitive the awards and specific categories are and it is testimony to the great work of our entire team. We pride ourselves on delivering the highest standards of customer service in all our dealings and this represents a good marker for the levels we have achieved. Our customer charter is underpinned with 5 key principles including quality and expertise, transparency and integrity, partnership, efficiency and genuine consultation. We believe that everyone we bring into the business buys into this as our culture and is part of what sets us apart from the competition. To see the full shortlist please click here Now we have been shortlisted the next objective has to be to win. Watch this space…. NextYour Recruitment Career Starts Here!